In the world of printing, finishes are all the additional processes a product undergoes once it has been printed. They are solutions that give the print a particular look, improve the functionality of the product or simply customise it. Finishes include custom cuts, lamination, coating and varnishing. These techniques can be applied to different types of product: for example, a business card or menu can be laminated, a sign or label can be cut into custom shapes to express originality, an outdoor panel can be varnished to increase its durability. When you place an order with Pixartprinting, you’ll find a range of finishes available, depending on the product you’re printing – some finishes are produced with traditional offset printing, others with digital printing. 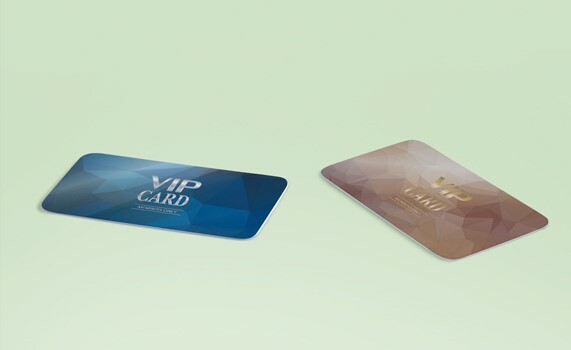 We’ll be focusing on digital finishes in this article and telling you about two technologies in particular that are used to finish a number of products at Pixartprinting: laser cutting which, for example, makes it very easy to create labels in various shapes, and 3D varnishing, which lends a luxurious feel to products like cards and badges. In each of these cases, the advantage of digital technology is that it allows these finishes to be applied even to very small quantities of printed products… while keeping prices affordable! There are various ways of cutting printed products. The most traditional method uses dies: shaped aluminium plates that when placed under a cylinder exert mechanical pressure and cut the sheet into the desired shape. Using this technique, you can create products of all shapes and sizes. However, die cutting isn’t always affordable for small print runs because, for every custom cut, a new die has to be made. One alternative is laser cutting. With this system, a matrix is placed next to each product to be printed: the matrix is a code that is read by the cutting machine and contains all the details of the custom cut desired. The laser cutter scans the printed products, reads the information and cuts the products as required. At Pixartprinting, we use this cutting-edge technology for our new roll labels. So how can you make the most of it? You could create custom labels for jam jars using a special shape (even your name! ), thereby making a homemade product more attractive. And you don’t have to print hundreds of copies! Traditional varnishing is used in offset printing and involves applying a layer of fast-drying acrylic varnish to the printed sheet or medium. If you browse our catalogue, you’ll notice that for some products it’s possible to choose a gloss, matt or soft-touch finish (a word of caution: these are laminations, not varnishes; lamination involves the mechanical application of a hot laminate, whereas varnishing is the application of an acrylic varnish.) Gloss and matt finishes create contrast and can draw the eye to sections of the artwork: a title, company logo or specific design element. Soft-touch lamination is a matt finish that feels soft to the touch and enhances a product – like a business card – by appealing to senses other than sight. Another finish used for some Pixartprinting products is 3D varnish. This is a thick transparent varnish that is spread over specific areas using a digital printing process to enhance and highlight them. Here, too, the digital process has advantages: the files that you send Pixartprinting will already contain all the necessary information for this type of finish; there’s no need to create matrices or dies. This means that this finish can also be applied to small print runs. Another finish available with digital printing, and therefore offering the same advantage of short print runs, is silver or gold coating. The procedure is the same as for 3D varnishing: the varnish is used as a primer and overlaid with a thin layer of silver or gold. These special finishes mean you can, for example, create exclusive cards for clubs or organisations, or customised badges.